My family draws names for Christmas, and since I got my musical-theater-loving/soon-to-be English major cousin, I thought a Les Miserables theme would be fun. One of the best parts about the silhouette is that it cuts any font on your computer. SO nice. 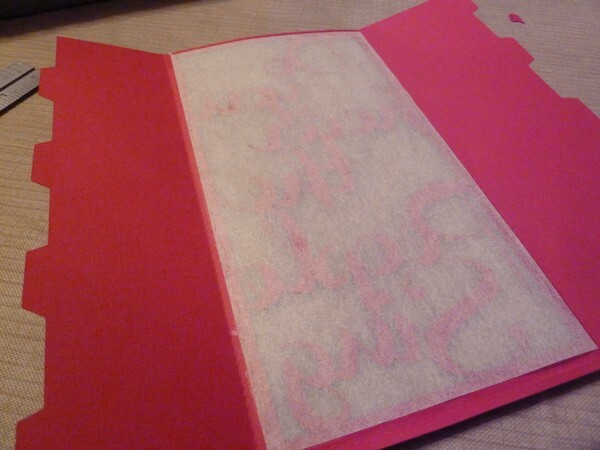 I glued in a sheet of tracing paper behind the cut-out for a little stability. I love how delicate the letters are. The font is called Channel and is free from dafont.com. 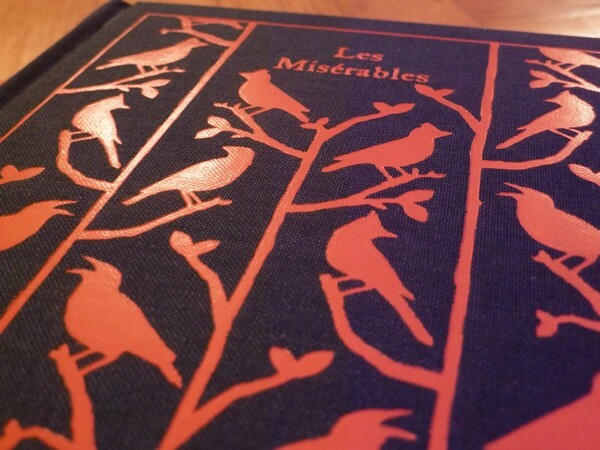 To go with the tickets, I bought a Penguin Classics hardback edition of Les Miserables from Amazon. The book is like a bajillion pages! 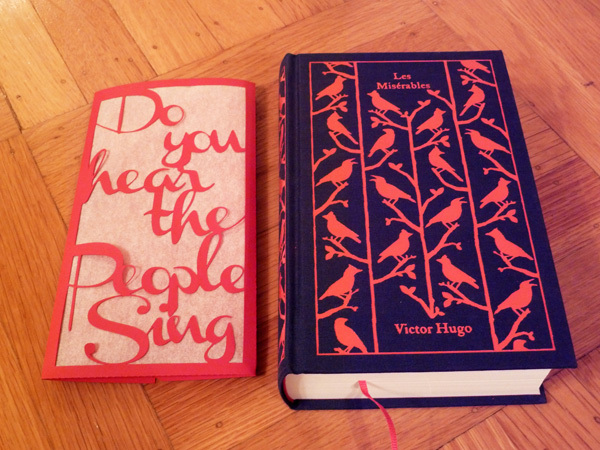 I love the gorgeous linen covers on the Penguin Classics. If I could, I'd have a whole library collection of them! Unfortunately, she already HAD the book! Hopefully mine is prettier though so she'll keep it, haha. Anyway, the day after Christmas a whole bunch of us went to watch the movie. I had not seen the musical before, (had only played some of the music in band) so I did not know the characters or plot. I didn't like it. It was too sad! Everybody dies! :P In general, my philosophy is to avoid fictional sad things because real life sad things are sad enough. Not that the French uprisings were fictional, but you get my meaning? So I doubt I will see the musical or movie again anytime soon. I still love the music though! 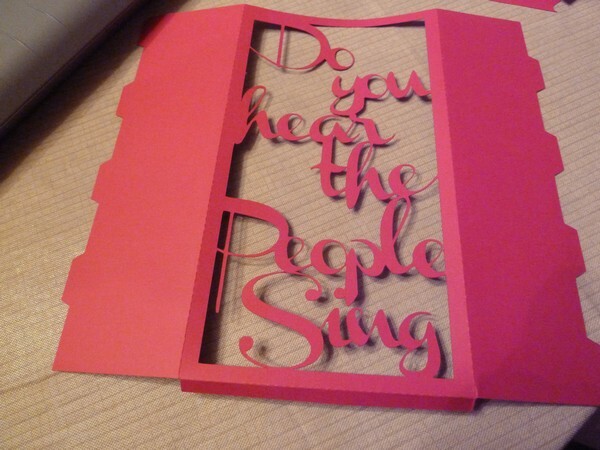 Have you see Les Mis yet? Did you cry? This is such a thoughtful gift, and I agree that the Penguin Classics are the best. I read a portion of the book in a Western Civ class in college - it don't really spark my desire to see the movie or the musical. Great gift idea! And your book def. must be better looking than just any old copy. I too think Les Mis is very sad, but there's a part of living it with the characters that helps release some of my own pain I think. In literary theory, there's a theory about being able to cope with life's tragedies through fiction. It gives words, or in this case song, to the pain in ones own life. 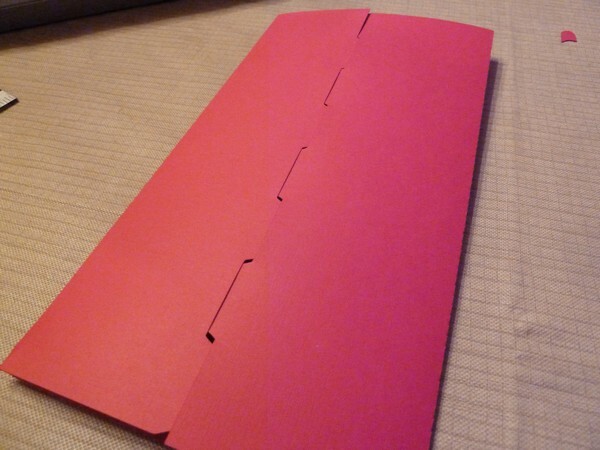 that is an awesome gift, and such a nice way to package the tickets. so thoughtful! WHA! That's so awesome/beautiful! I must. Get. One of those. Machines! 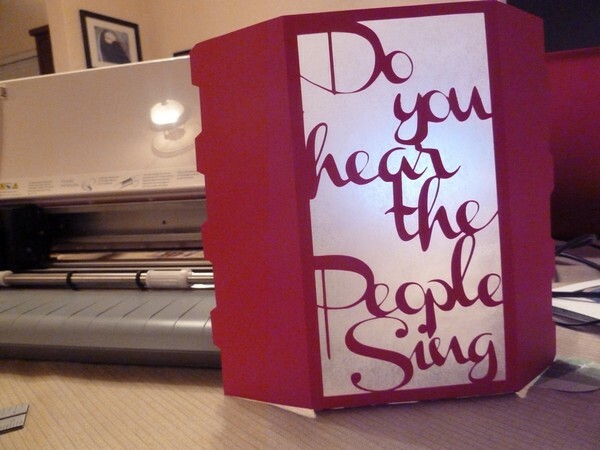 And love the tracing paper window and interlocking-ness! 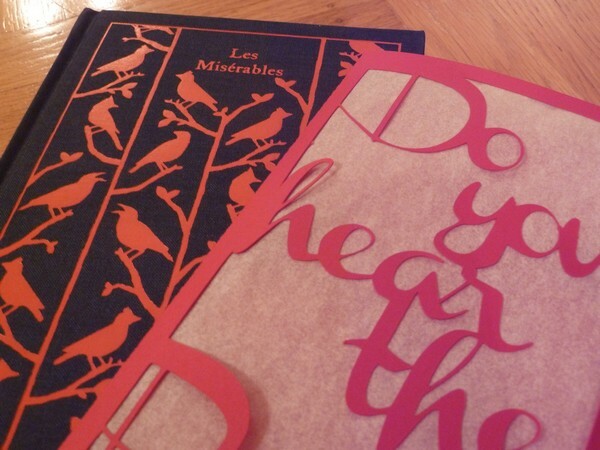 :D And the book is beautiful! Love the font too! I too do not like things that are sad cause life is sad enough but Tim finds beauty in things like that. We haven't seen it yet but maybe this week! What a thoughtful and beautiful gift!